HOUSTON - The atmosphere is like a birthday cake. Imagine layers of cake, filling and icing. Each layer having a different temperature. Delicious and informative! 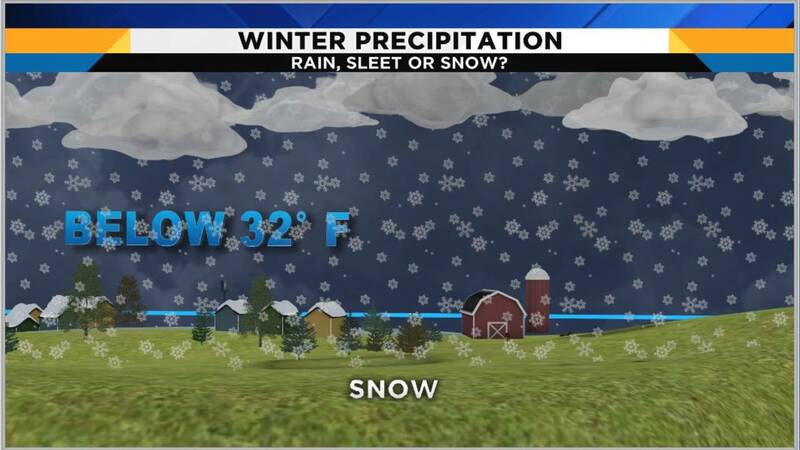 When the temperature in each layer of the atmosphere (think about the birthday cake) change, there is a different type of precipitation that occurs. Imagine the air high above the ground where airplanes fly. When it is super cold with temperatures well below 32 degrees, snow falls from the clouds. Snowflakes start to fall toward the ground. If the snowflakes fall through a warm layer of air, above 32 degrees, the snowflakes melt. This set up creates a chilly rain for Houston. Now what happens if our chilly rain droplets move through a layer of cold air before hitting the ground? The melted snowflakes partially refreeze and sleet covers the grass and eventually sticks to the roads. A favorite and rare weather precipitation in Houston is snow. The tough thing about snow is there needs to be perfect timing. 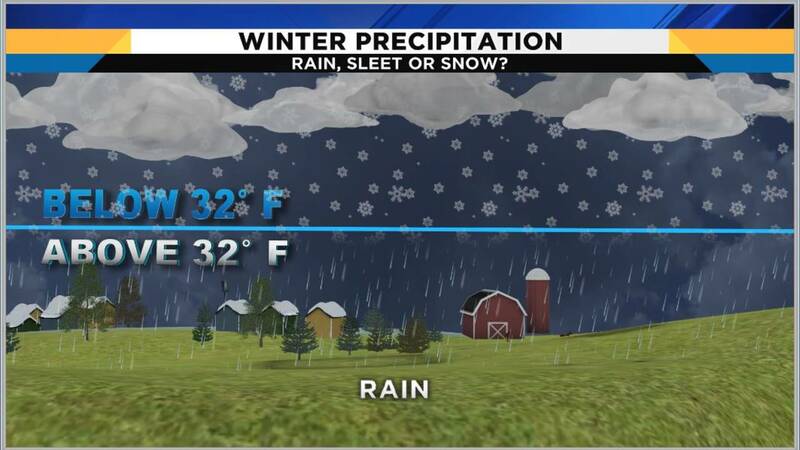 Precipitation needs to fall at the exact time that cold air takes over Houston. Ever so often this perfect combination happens and wet snow covers the city! 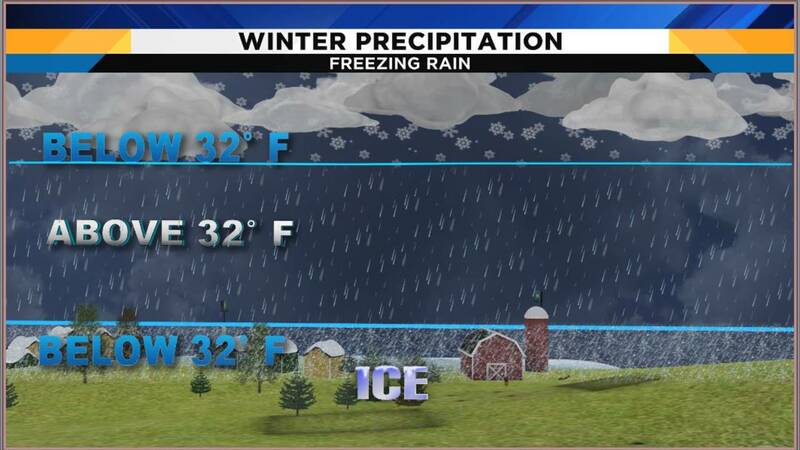 The most dangerous temperature combination in the atmosphere creates freezing rain and coats roadways with a thin layer of ice. Snowflakes falling from very cold air high in the atmosphere melt as the flakes fall toward the ground. As the melted snowflakes hit the ground, the droplets hit a thin layer of frozen air below 32 degrees on the ground. This combination results in a thin layer of ice and dangerous road conditions. 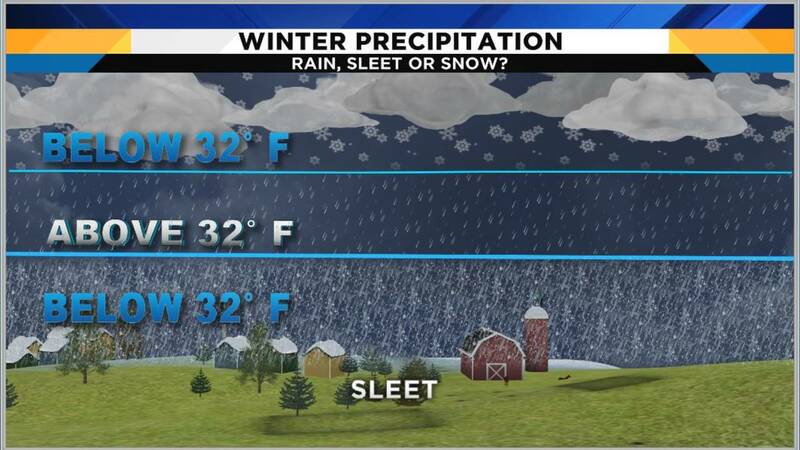 I hope this helps explain winter precipitation in Houston. Check out the Britta's Weather Lab page for more cool weather facts!